Bayan-Olgii has been a crossroads throughout history for empires, conquerors, and trade routes. Just north of the fabled Silk Road; Turks, Scythians, Huns, Tuvans, Uighurs, Mongols, and Kazakhs have left their mark on this vast land. The region has been occupied for over 12,000 years. Descendents of Turkic tribes that currently occupy a territory stretching from Siberia to Turkey originated in the Altai Mountains around Bayan-Olgii around 2000 BC. Later Scythian nomadic warriors expanded out of the Altai Mountains after 700 BC eventually reaching the Black Sea and modern day Ukraine. Their power declined after Alexander the Great defeated them in a battle in 329 BC in what is now Tajikistan. After the Scythians, the Huns migrated from the steppes of Mongolia to Europe around 100 AD and caused much havoc in the Roman Empire around 400 AD under Attila the Hun. Reindeer herding tribes called the Tuvans first appeared in the Siberian forest north of the Altai Mountains. Their descendents can be found in the same area today with a large population in Tsengel Soum. The Altai Mountains and the nearby Silk Road were controlled by Turkic-Uighur tribes after the 6th Century. This lasted until the great Mongol Empire swept through in the 13th Century stretching from Korea to the Poland. The area remained under the control of Mongol khans until the Kazakhs kingdom was founded in the 15th Century, which remained in power until the Chinese and Russians expanded their empires in the 19th Century. Thanks to a cold dry climate and a sparse population, many of the artifacts from these ancient empires remain in pristine condition. Surveys of the region have estimated there to be hundreds of thousands of petroglyphs, including concentrations of several thousand in some canyons, plus over a thousand stone monuments, around 50 “deer stones,” and numerous tombs, burial mounds, ancient graves, and other sites. 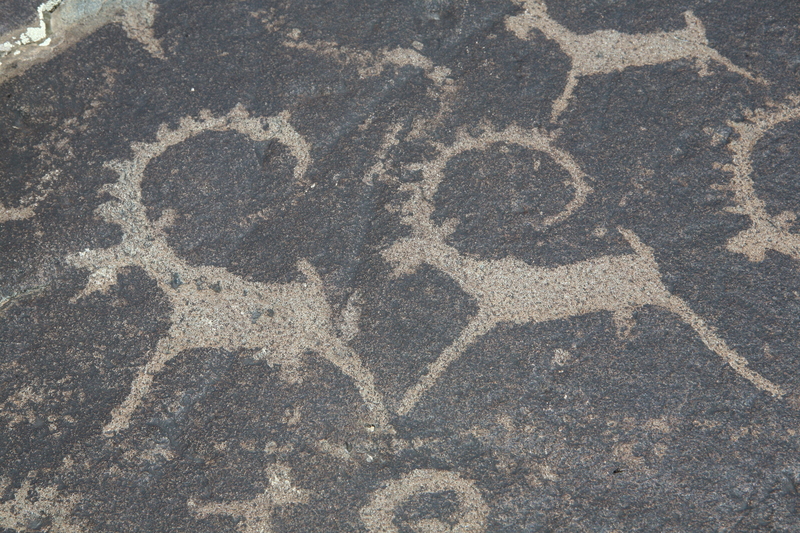 Petroglyphs from Turkic tribes and the Huns dating from 10,000 BC to around 100 AD help archeologists trace the evolution of hunter gatherers to pastoralists to the semi-nomadic herders. Through these images etched onto cave walls, one can see the roots of modern ger-dwelling herders that live in the mountain valleys and steppes of Bayan-Olgii to this day. Around this same time, the first standing stone monuments that were used to remember ancestors started to appear on stone monoliths as tall as 15 feet. 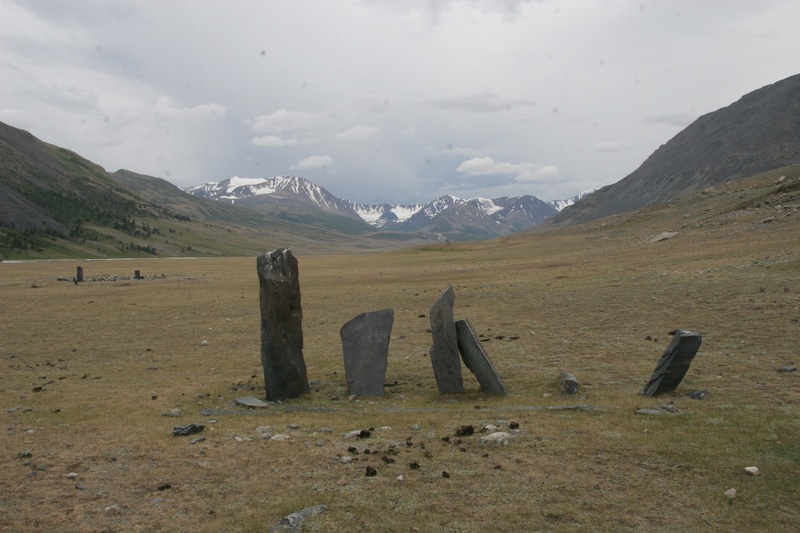 Various designs of standing stones including deer stones (with images of flying deer), Turkic image stones, false image stones, and balbals can all be found in several sites in the Mongolian Altai. 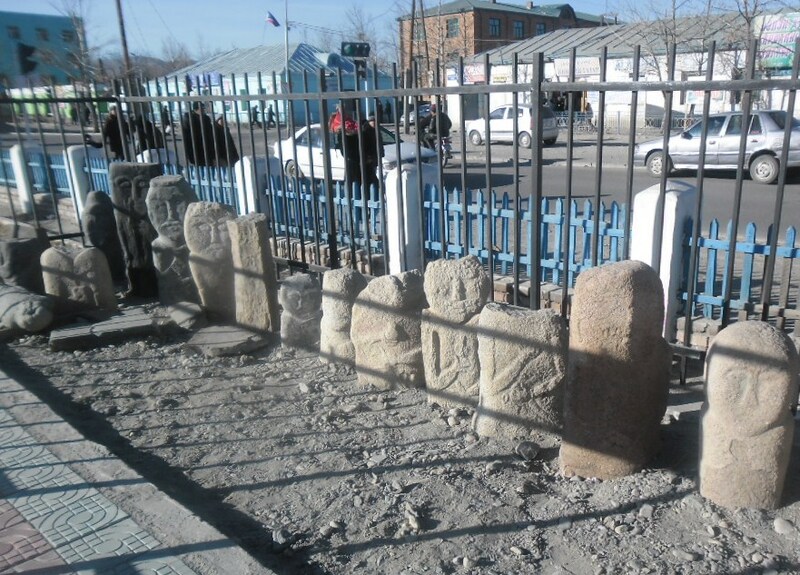 New or reused stones were probably made until at least the time of the Mongol Empire. 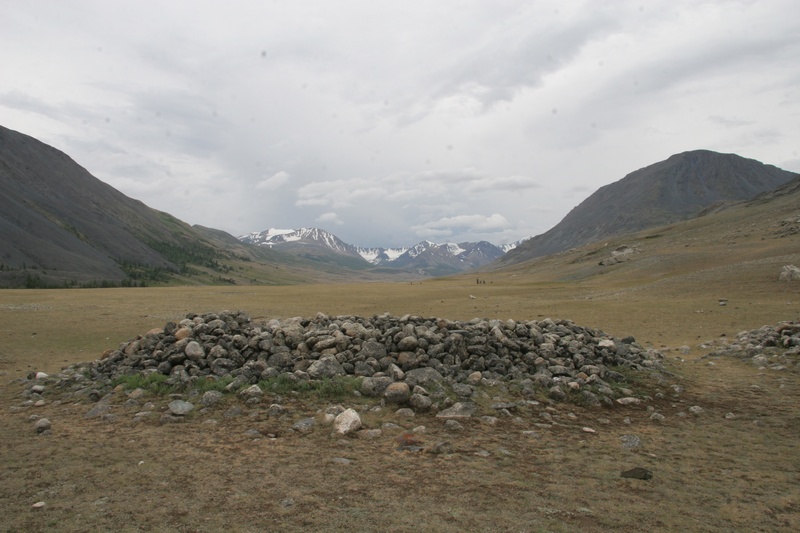 Several types of alters and funeral mounds can be found throughout the Altai region. 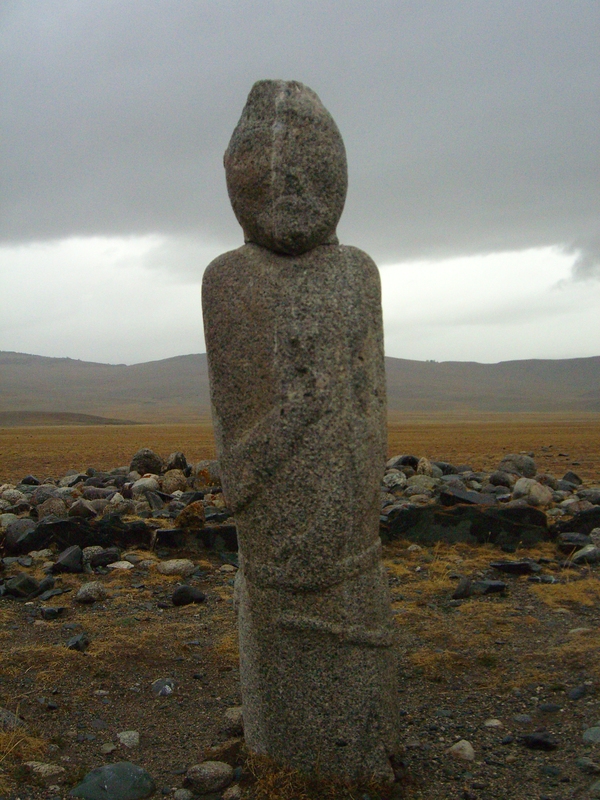 Some of the more elaborate include Turkic memorials, dwelling monuments, and Khirigsuur (or large stone mounds). 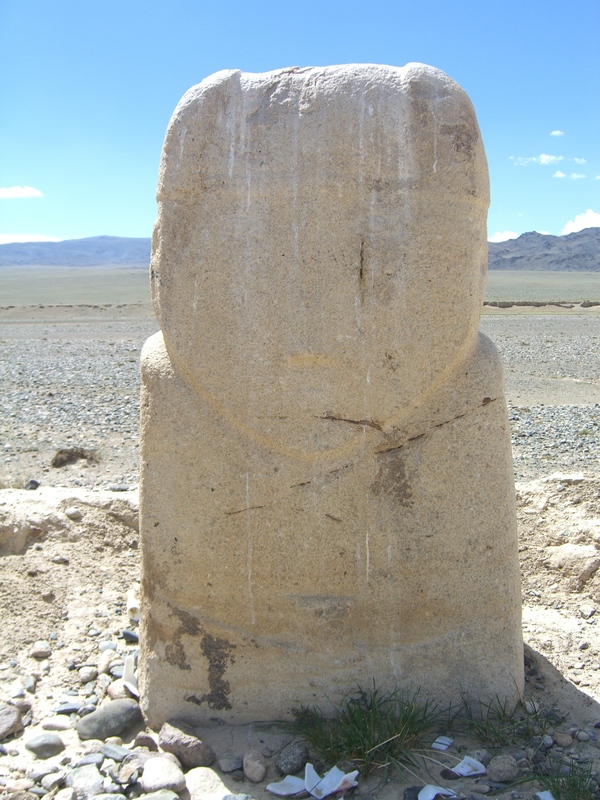 Most recent artifacts include graffiti in classical Mongol script dating back to the Mongol Empire and Kazakh Khanate. An expedition in 2005 uncovered the mummified body of a Scythian warrior in full battle regalia under one such Khirigsuur in Bayan-Olgii. These archeological sites are collectively part of an UNESCO World Cultural Heritage Site. 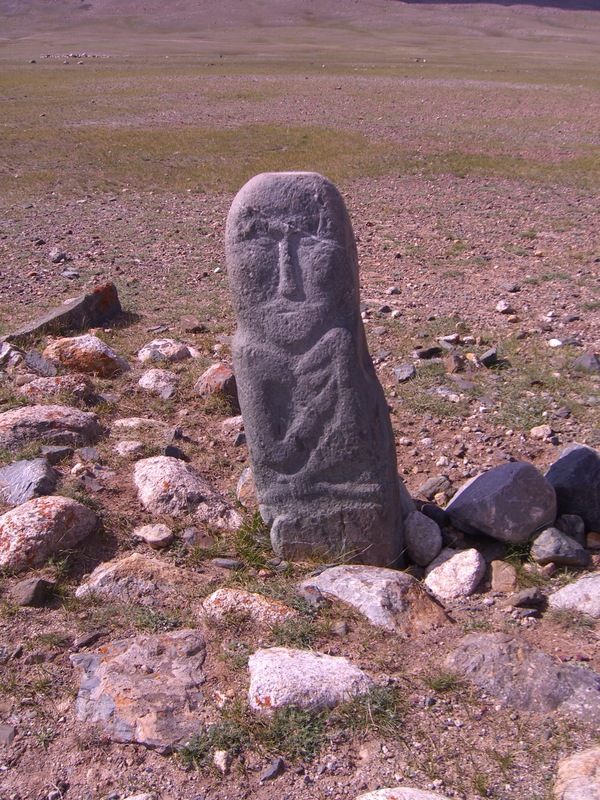 Though several Turkic image stones and deer stones can be found at the Olgii Aimag Museum, the best way to view them is at the archeological sites concentrated a few hours’ drive west of Olgii. Local tour guides are very knowledgeable on the local history and offer many different package tours to visit the best sites. 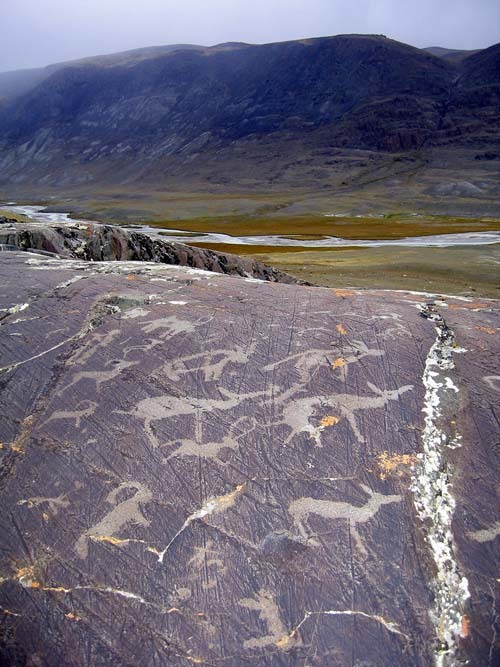 According to Lonely Planet, Tsagaan Sala in Tavan Bogd National Park is considered to be the best place in Central Asia to view petroglyphs that number over 10,000. Most tours have stops at archeological sites and archeology centered tours are available. 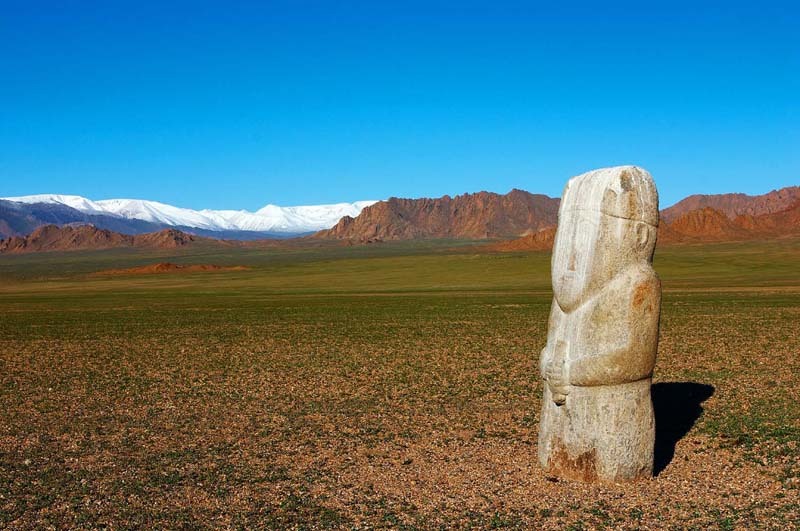 These popular tours offer a unique chance to view a broad spectrum of ancient history alongside the living history and culture of the Kazakhs, Tuvans, and other nomadic groups of Central Asia.